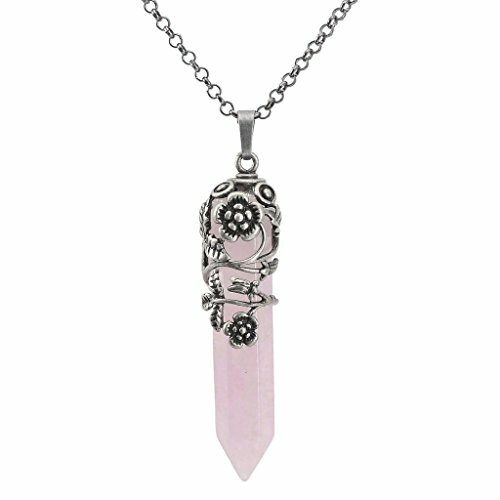 The necklace center dangle part is 3.25" long, so make sure it's not too long for you. The navy blue color is NOT dark navy. 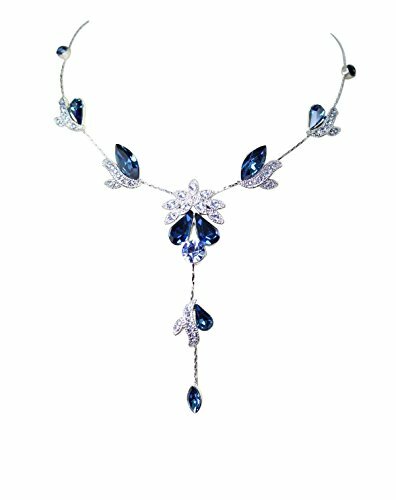 Description:Our Jewelry Are 100% New Brand And Made Of Genuine High-grade Material, As Long As The Proper Maintenance, Ensure Wearing Years Still Bright As New.This Simple Yet Beautiful Statement Necklace Are A Perfect Piece Of Jewelry That Will Get Everyone To Compliment You. 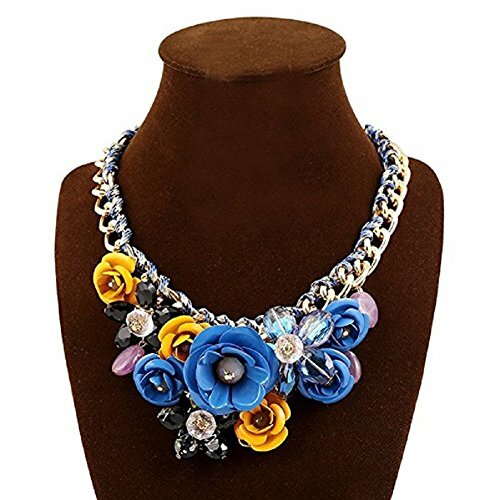 This Necklace Is Perfect For Any Type Of Women, Can Be Worn With Any Outfit; Reasonable Price, Safty Sale And Delivery Management. 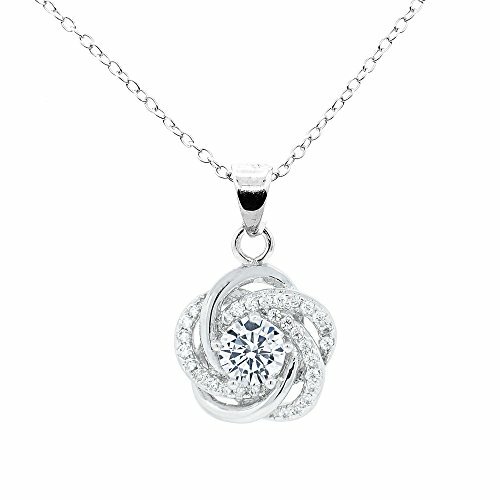 The Necklace Is Nickel Free And Hypoallergenic,No Harm To Your Body, Suitable As A Gift!! We Concentrate On The Design, Manufacture And Trading Of Fashion Jewelry. 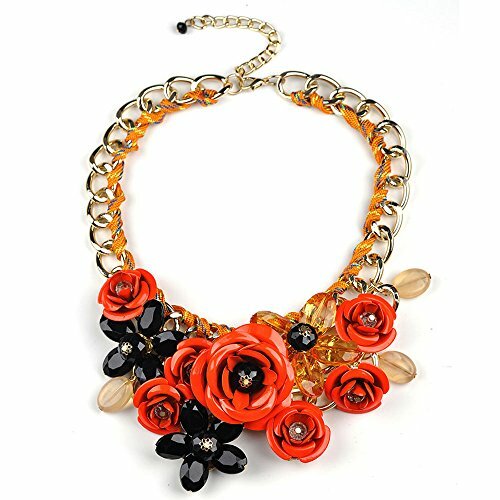 We Offer A Wide Range Of Fashion Jewelry With Best Quality To Our Customers. All Our Items Are Strictly Inspected And Carefully Packed Before Shipment. The Classy Velvet Pouch Gives The Additional Rich Look To The High Quality Chain Pendant Duo.Great Customer Service: Any Question Or Thought, Just Feel Free To Contact Us, We Will Respond Normally Within 24 Hours And Offer You Great Service Experience.We Are Committed To Provide Our Customers Cheap And Cheerful Products. You Needn't Worry About Losing Money Because We Offer 60-Day Money Back Guarantee or Exchange For All Products Sold By Us.Please Make This All Yours By Hitting The Add To Cart Button! 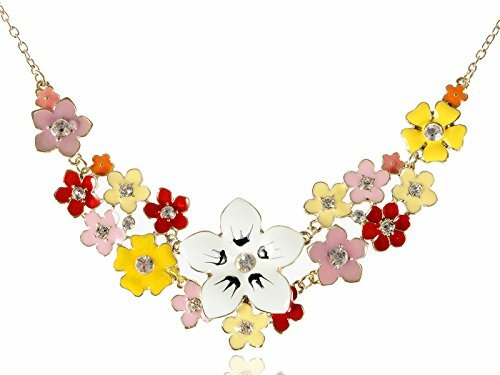 This floral flower necklace is made with clear crystal rhinestones and white, red, yellow, orange enamel paint. 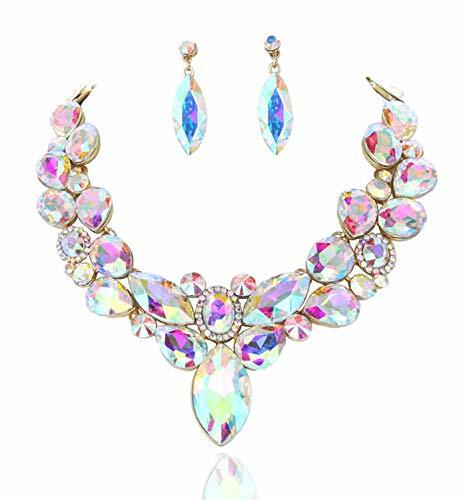 Make a fashion statement with this beautiful necklace and earring jewelry set with sparkling Austrian crystals and rhinestones. This one of a kind jewelry set fits most with a lobster claw closure. The lobster claw closure provides you with an extension for the best fit. 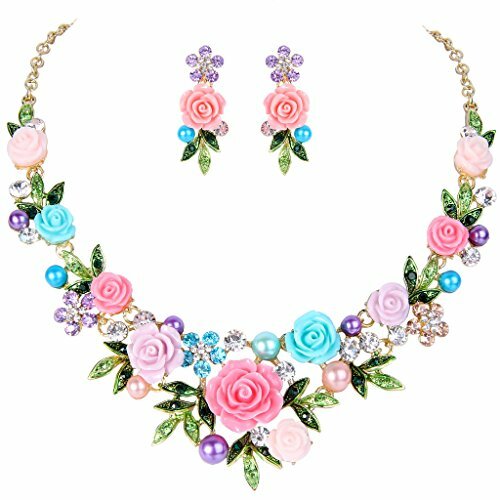 This jewelry set is fit for a queen or a princess who is ready to take over the evening or simply having brunch with her friends! 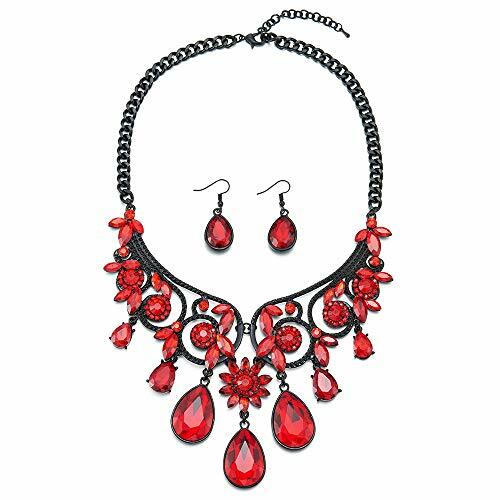 This necklace and earring set makes a great gift that can be worn again and again for an affordable price. 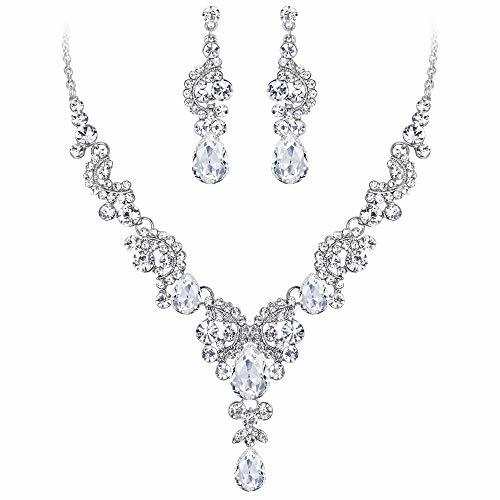 This jewelry set will sparkle like diamonds under any lights, showing its beautiful quality to everybody.